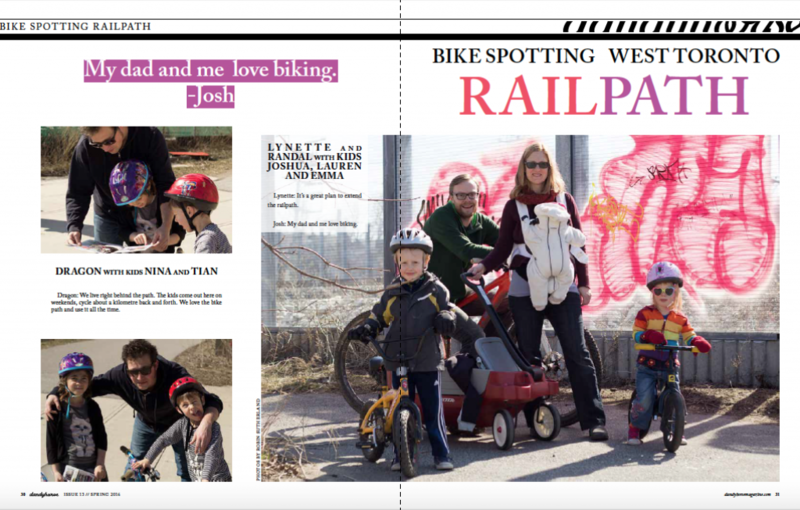 Bike Spotting on the West Toronto RailpathWe have our bike spotting from dandyhorse issue 13 from the West Toronto Railpath. Interviews and photos by Sonya Allin and Robin SutherlandWe asked: what’re your thoughts on the plan to extend the railpath? 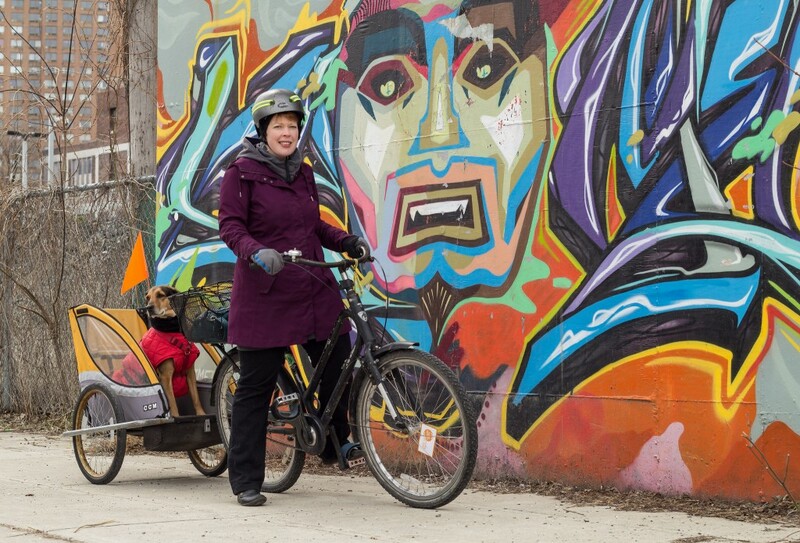 Liz Sutherland and her dog Sadie.Yes, of course I want to see the West Toronto Railpath extended. I use the railpath all the time en route to downtown destinations as my home is very close to the Cariboo entrance. It would be a dream to travel on the railpath as far as the Richmond-Adelaide protected bike lanes–imagine a car -free route from Junction Triangle to downtown and beyond. I know a lot of people who don’t use the railpath at present, though, because they don’t like the hostile environment on Dundas Street where it currently spits you out. As much as I would love to see the railpath link up with the Richmond-Adelaide cycling route, it would be just as important to extend it in a northwest direction to link up the underserved neighbourhoods of Mount Dennis and Weston to the planned cycling grid. This northward extension is far from a fait accompli but its realization would demonstrate a greater commitment to neighbourhood equity on the part of our city planners than we currently see in the allocation of active transportation infrastructure. 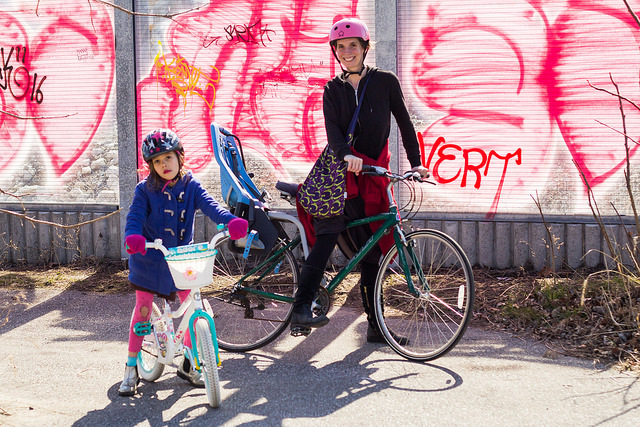 What about linking up the railpath with the new Under the Gardiner project? Why would I cycle or hang out under the Gardiner when I can bike 30 seconds south to the Martin Goodman Trail by the lake? The Under-Gardiner project is happening because of a one-time capital donation from private sources. I am wary that it might divert operating dollars from other parts of the city that serve marginalized communities while making it more likely that the expressway will stay up longer than it might otherwise. Cities that have made the bold move of dismantling freeways near their waterfronts are making a statement about the role of the private car in their urban neighbourhoods. Toronto needs to do the same. I take the railpath four or five times a week in the summer. Sometimes for commuting, but more often for recreation. It would be amazing to extend the bike path [to Union Station.] That’s been in the works a long time. The next chunk is supposed to go to Queen, but it would be great to go beyond that. You realize how few protected bike paths there are once you’re not on them. And it’s so nice not to have to worry about dying. Lynette and Randal with kids Joshua, Lauren and EmmaLynette: It’s a great plan to extend the railpath. The rail lines come in handy every once in a while, but it would be better if we could bike. 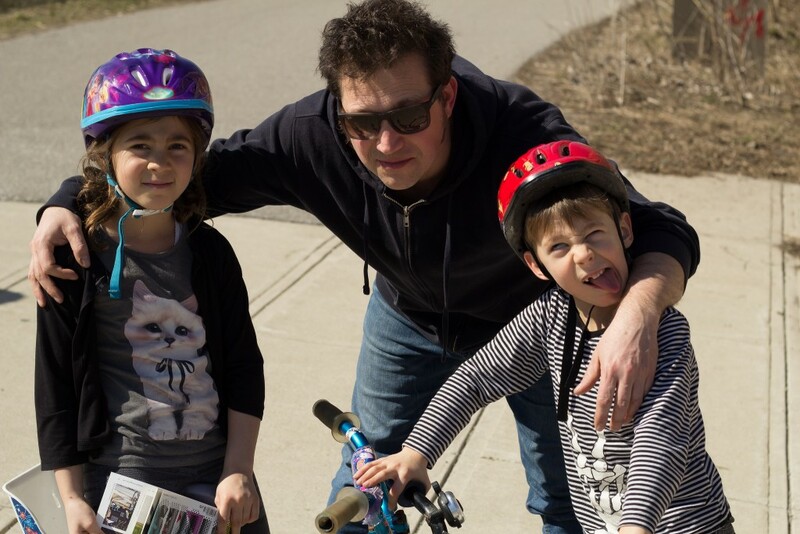 Josh: My dad and me love biking. Sonya and SibiSonya: We just moved to the Junction and Sibi goes to school downtown. It would be great if we could bike all the way in a protected path like this. If the railpath were extended to Union Station, we’d use it all the time. Dragon with kids Nina and TianDragon: We live right behind the path. The kids come out here on weekends, cycle about a kilometre back and forth. 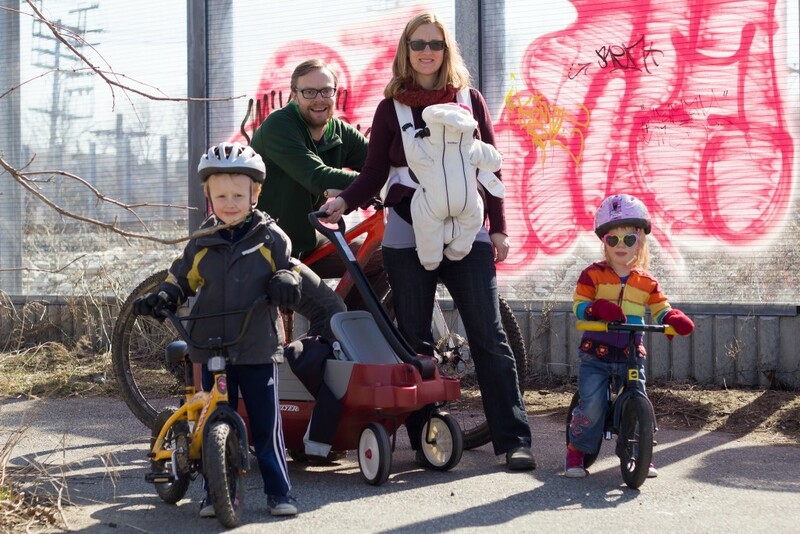 We love the bike path and use it all the time. Our new issue of dandyhorse has arrived! dandyhorse is available for FREE at Urbane Cyclist, Bikes on Wheels, Cycle Couture, Sweet Pete's, Hoopdriver, Batemans, Velofix, and Steamwhistle. Our new issue of dandyhorse includes cover art by Kent Monkman, interviews with Catherine McKenna and the women behind Toronto's first feminist bike zine, lots of news and views on Bloor - including this story above - and much, much more! 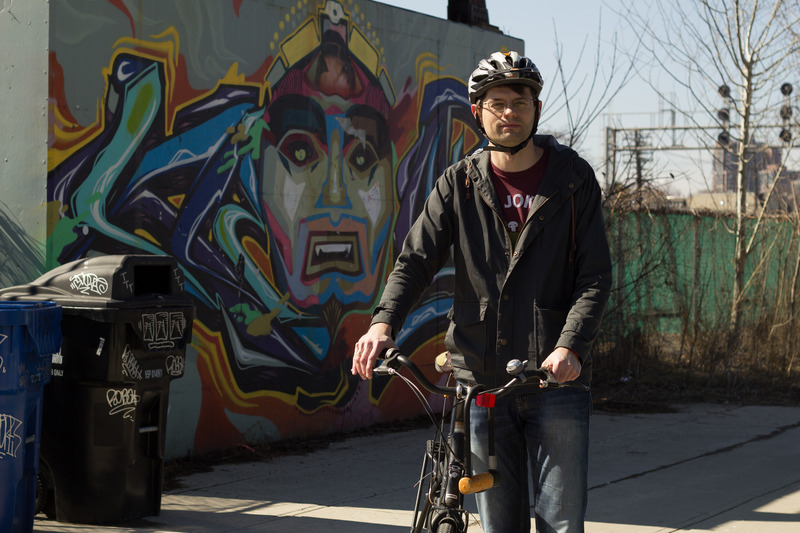 Get dandy at your door or at better bike and book shops in Toronto.